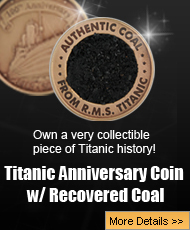 A name that is almost always Irish in origin, there were a few Sloans on the Titanic when it sank. After hearing about the ship that was being built in Belfast, many Irish individuals thought that they should be there for its maiden voyage. 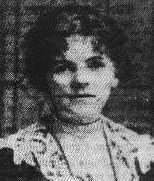 Mary Sloan was among one of the passengers of the Titanic A native of Belfast, Mary Sloan worked as a stewardess on the ship and played a crucial part in the Titanic survivors story. Many accounts of the sinking of the Titanic mention Mary Sloan and her connection with Thomas Andrews, who was a shipbuilder and the one in charge of building the RMS Titanic. An account of the tragedy speaks of a conversation between Sloan and Andrews while lifeboats were being deployed. Standing near what historians believe was lifeboat 16, it is said that Andrews recognized Sloan and urged her to get onto the boat; which she finally did. After the collision, Sloan woke up a number of passengers informing them that the vessel had hit an iceberg. Accounts of Mary Sloan speak of her as pulling life jackets out of cargo bins and helped people board lifeboats. Selfless in her portrayal, the documents that mention Sloan mention her as quite possibly the last person to board a lifeboat just before the Titanic sank into the Atlantic. SENATOR FLETCHER: Were any ladies on the deck when you left? MR. BULEY: No, sir. Ours was the last boat up there, and they went around and called to see if there were any, and they threw them in the boat at the finish, because they didn’t like the idea of coming in. SENATOR FLETCHER: Pushed them in, you mean? All sources point to Mary Sloan being the last one to leave the sinking Titanic.